I didn't plan ahead however and had to hunt the entire house for a suitable box that would fit nicely inside my little desk. The black box in question is lovely and sturdy however the two halves are completely different sizes and heights compared to the other box I had (an old birchbox) and I think it looks a little silly. I've never stepped foot inside a Muji store, but it's hard to ignore them as every blogger I can think of must own some of their acrylic towers. I have secretly always wanted some too, but that doesn't exactly keep in with my 'inside my desk' makeup storage plan. Muji also have some nice (read: plain and boring) dividers that would also be a great option if I can't find anything else. H&M Home is my second option, whilst they don't have any sort of drawer dividers they do have a lot of cute storage jars, pots, trays and bowls that could look cute if I pick up a couple and mix and match them together. They would also then come in handy for photo props which is what I want to go in there for in the first place! Two birds. 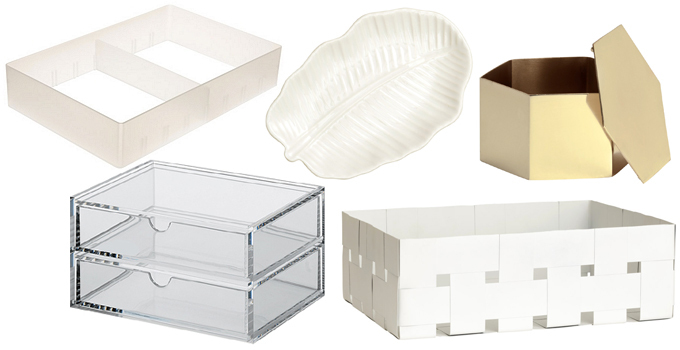 Of course, there's always IKEA too, but who wants to battle IKEA just for a few drawer dividers? 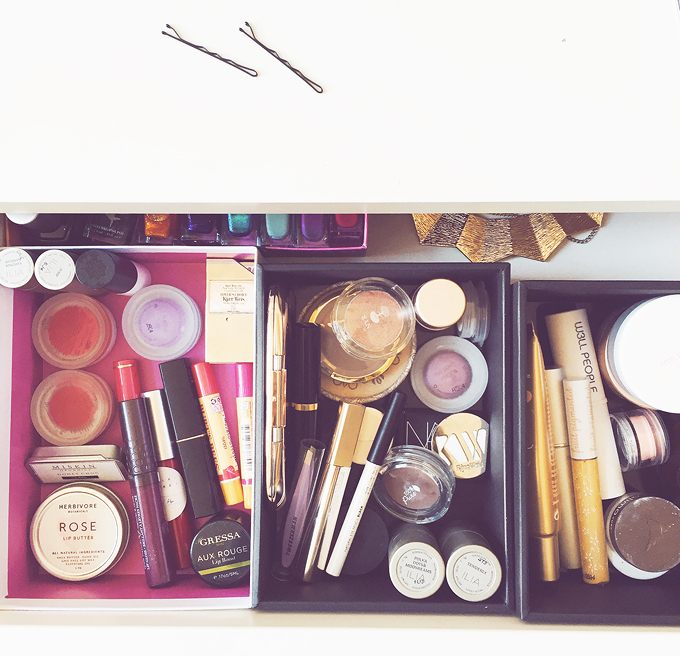 Tell me, do you store your makeup in a drawer? and if so, what do you use to keep it organised? ?